Architect Minenhle Makhanya has been largely blamed for the escalation of project costs during the security upgrades at President Jacob Zuma’s private Nkandla residence. Makhanya is awaiting a court judgment that will determine whether he will be given confidential and classified documents to defend himself in a colossal R155-million civil claim against him. If the architect succeeds in unlocking the treasure trove, he intends to show that his work was approved and signed off by the relevant authorities. If he is unsuccessful in his application, he will apply to have the civil claim struck off the court roll. Whichever way it goes, to many this entire case will appear as if it was designed to collapse over the issue of Makhanya’s lack of access to classified documents. By GLYNNIS UNDERHILL. As the former lead architect on President Jacob Zuma’s Nkandla security upgrades project, Minenhle Makhanya claims he requires confidential and classified documents to defend himself against the R155-million civil claim instituted against him by the Special Investigating Unit (SIU). If the documents are made available to him by court order, he aims to prove that his work was approved and signed off by state officials, or the relevant cabinet ministers, his attorney Barnabas Xulu told the Daily Maverick in an interview. Makhanya has brought a court application seeking an order instructing the SIU, an independent statutory body, to disclose documents which he maintains are critical to the preparation of his defence. As the second respondent in the case, the Department of Public Works has dismissed Makhanya’s application to gain access to the confidential and classified documents relating to security upgrades at Zuma’s Nkandla residence as nothing more than a “subterfuge” to delay the civil action against him. It claims releasing these documents would place the safety of the president and his family in jeopardy. How the court will rule on Makhanya’s application is expected to be revealed shortly. Judgment in this case has been reserved, and will be delivered by Judge Mahendra Chetty in the Pietermaritzburg High Court at a date still to be set down. Xulu said that if Makhanya’s application is unsuccessful, he will apply to have the civil case against his client struck off the court roll, as the architect cannot defend himself without access to the documents. And if he succeeds in having the case struck off, he said there would probably be a large damages claim from Makhanya. Even so, there are some understandably wary members of the public, like advocate Pikkie Greeff, national secretary of the South African National Defence Union, who are concerned that the case against Makhanya might be a ruse. “Becomes even more and more clear that the entire ‘case’ against Nkandla architect was designed to collapse on the back of classified documents,” Greeff tweeted in February. These assertions have been flatly denied by former head of the SIU Vas Soni, who oversaw the investigation into the allegations of corruption and maladministration at Nkandla. Xulu paints a forlorn picture of Makhanya’s career and reputation having been severely affected by the civil claim against him, while the architect is facing escalating legal bills, which he is paying himself. The architect’s work opportunities were drying up, Xulu said, and he is currently living on his remote pig farm in Richmond, KwaZulu-Natal. Secrecy levels around what happened during the time of the Nkandla security upgrade remain high. Makhanya signed a non-disclosure agreement, which Xulu said does not permit him to speak about the specifics of the project. As stipulated, all his designs and documents relating to the security upgrades were handed back to Department of Public Works, which hired him for the job after he was introduced to officials by Zuma. This was revealed in Public Protector Thuli Madonsela’s report, Secure in Comfort, which found Zuma and his family “unduly benefited” from the security upgrades, and that he and his family should pay back a portion of the R246-million spent from the public purse. At the time of its investigation into Nkandla, the SIU told Parliament there had sometimes been a lack of co-operation from officials and some documents were found to be missing. Xulu said the unprecedented outcry over the Nkandla security upgrades had not been not easy for his client, but Makhanya was prepared “to defend his rights”. Only two weeks ago, the Presidency organised an in loco inspection at Nkandla and invited members of an ad hoc parliamentary committee on Nkandla on a restricted tour of the homestead. Members of the committee expressed shock at what they described as shoddy workmanship, inflated prices and the alleged squandering of public money. 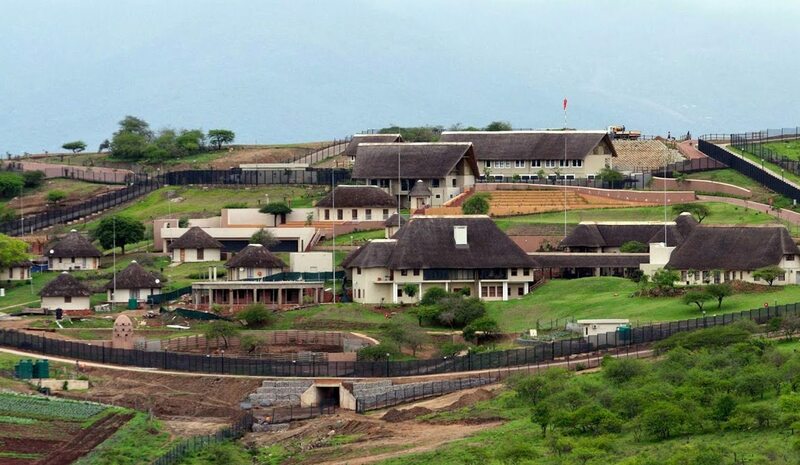 To top it off, a few selected journalists were also invited back to undertake a tour of Nkandla by the Presidency, and photographs revealing the sorry state of the various security upgrades were published around the country. Yet Xulu said the members of the ad hoc parliamentary committee were not provided with enough information during their tour of Nkandla. Many journalists had phoned Makhanya to ask for his reaction to the responses from the Nkandla tours, but Xulu said the architect was bound by the non-disclosure agreement and could not go into details about his work. The SIU informed the court it is seeking a “declaration of invalidity” over Makhanya’s appointment as a service provider and lead architect, which it deems contrary to the applicable procurement processes. The remainder of the Special Investigating Unit’s claim was for payment of losses it alleges were incurred by Makhanya. It outlines how in his role, Makhanya was expected to design the construction works, procure relevant contracts and security service providers, oversee progress and certify progress payments to service providers in connection with security upgrades at Nkandla. However, the SIU claims losses were incurred by Makhanya, either by over-designing on approved plans or specifications, extending the scope of what had already been approved, and demanding payment in excess of what the applicable regulations permitted him and other consultants to charge. While it had complied and provided some of the requested documents, the SIU wrote that it was of the opinion that the requested documents were not essential to enable Makhanya to formulate his defence and plead to the particulars of the claim. And it could not deliver documents that it does not have in its possession, either because they never existed, or because they were in the possession of the Department of Public Works. The SIU contends that Makhanya should not have had to resort to the processes provided for in terms of sub-rule 35 (14) (of the Uniform Rules of the High Court). Instead, it argues he should be able to tell the court whether as an architect he constructed and installed the security measures and followed and implemented these measures in accordance with the approved plans and specifications. Xulu told the Daily Maverick that neither he nor Makhanya had taken up the offer to view documents, as copies of all the documents were required for use in his client’s defence. “It would not be sufficient to just take a peek at those documents,” he said.